Feel better and more energetic through stress-reduction, improved sleep habits and an effective energy diet. Are you tired at the end of the day? Need a midday boost to make it through the afternoon? Find yourself nodding off during a movie? Most times, tiredness, fatigue or even complete exhaustion is totally normal. Your muscles get overworked; your brain gets over-taxed; you’re under a bit of stress. Some rest or a good night’s sleep is often enough of a tonic to feel refreshed and rejuvenated. But what if fatigue sets in for a long stretch of time? You’re getting 8 hours of sleep a night but still feel tired for most of the week? Or worse, you’re unable to sleep. Are you sick? Is it a symptom of something serious? Is there anything you can do? It could be chronic fatigue syndrome. Chronic fatigue syndrome is a condition shrouded in mystery. It’s complicated because it can be caused by many different factors: Stress and anxiety, depression, sleep deprivation, and medications along with poor diet, and a lack of exercise. Chronic fatigue syndrome is a debilitating disorder typified by extreme fatigue that is not improved by bed rest. The list of possible chronic fatigue symptoms obviously begins with fatigue. But there are eight other symptoms on the official list: loss of memory or concentration; a lingering sore throat; tender, enlarged lymph nodes; unexplained muscle pain; pain across multiple joints; strange headaches; insomnia; or lingering, extreme exhaustion. Identifying and treating chronic fatigue syndrome is difficult. In Chronic Fatigue and Low Energy: Diet, exercise, sleep, and stress-reduction advice to boost your vitality, a free guide from University Health News, you’ll be alerted to symptoms and serious effects of chronic fatigue syndrome including the latest research and thinking behind the condition. And you’ll also learn how to distinguish from true, chronic fatigue and other less serious, but still frustrating, energy issues. If overcoming fatigue is important to you, if finding more energy is your goal, if feeling young again is critical to your wellness, you must download a copy of Chronic Fatigue and Low Energy: Diet, exercise, sleep, and stress-reduction advice to boost your vitality today, for FREE. As you begin to address the reasons why you feel so tired for long periods of time, you should first examine your lifestyle habits. Consider your diet. Assess your activity level. Question your emotional well-being. Look at your sleep patterns. Is there such thing as an Energy Diet? Rather than search out that magic meal or distinctive diet, the path to more get-up-and-go and sustained energy can be found in proper meal planning. Timing your meals is key. Three meals plus two small, healthy snacks may be enough to keep your engine tuned throughout the day. Always, always, always eat breakfast. Veggie omelet; hard-boiled egg; whole wheat toast with some peanut butter; oatmeal or yogurt with some fruit – it doesn’t take much to get the day started properly but you must eat something, every day. Don’t skip meals. Ever skip lunch and then feel so famished by dinner time that you overeat? Such peaks and valleys are harmful to your body. Snack right. Keep your snacks to 100 – 150 calories each. An apple or a banana is usually enough to keep you going. Get enough protein. In addition to cell maintenance and muscle creation, protein also helps regulate the release of energy. Learn more about the importance your diet plays in your energy level by downloading Chronic Fatigue and Low Energy: Diet, exercise, sleep, and stress-reduction advice to boost your vitality. And it’s not just what you eat but what you drink too! Being dehydrated contributes to fatigue and may have you overeating the wrong foods. Steer away from the so-called energy drinks, sugar-laden fruit juices and soda. The best fluids for keeping your energy level up? Plain ol’ water! Chronic Fatigue and Low Energy: Diet, exercise, sleep, and stress-reduction advice to boost your vitality will also give you easy-to-follow details on the vitamins you should seek out for proper energy and the foods rich in each. Reconstructing your menu to include foods rich in vitamin A found in sweet potatoes, mango and red peppers, the B vitamins – particularly B1, B2, B6 and B12 – in foods ranging from pork to milk to fish to leafy greens. Be sure to get lots vitamin C from citrus and other fruits. And foods plentiful in vitamins D, E and K will also help keep your energy levels at peak levels. So a multi-vitamin should do the trick, right? Wrong. Your free guide shows you the importance to getting your vitamins and minerals from your diet rather than through supplements. It’s one of life’s little ironies but one of the best ways to increase your energy level is to, well, get-up-and-go! More physical activity is a pathway to feeling more energetic. But if you’re too tired to exercise, you may find yourself avoiding physical activity – which in turn can make you feel even more tired when you do exert yourself. And maintaining a physical fitness routine can be a challenge even if you’re not suffering from fatigue. In Chronic Fatigue and Low Energy: Diet, exercise, sleep, and stress-reduction advice to boost your vitality you’ll get guidance on five tried-and-true tips to help you embark on an exercise program. First, set realistic goals for yourself. The worst thing you can do is start too fast and quit because of unattainable expectations. Second, discipline and consistency are important. Find a time of day and a routine that works for you. And stick to it. Third, measurement is critical. Charting your progress is a key way to stick with your routine. Fourth, do it with a friend. Many find exercising easier and more doable when in a group setting or with friends. You’ll also find that yourself skipping fewer outings in an effort to not disappoint your pals. Finally, there are times where you miss a session or two for good reason. Don’t beat yourself up and let such times throw you off course. Simply get back into your routine as soon as you can. Even sufferers of chronic fatigue syndrome find benefits to increased activity and exercise. 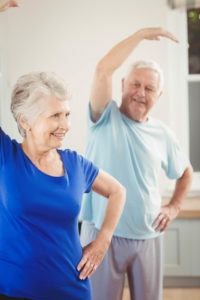 A physician’s guidance is likely necessary as traditional exercise routines may be difficult to tolerate. Sleeplessness is a common symptom of fatigue. Another irony of this condition. One of the key pieces when combating fatigue is normal sleep. Developing or re-instituting good sleep habits can be challenging. But with some lifestyle changes, you can rejuvenate your body and mind with some solid nights of sleep. To learn about adjustments you can make, get your free copy of Chronic Fatigue and Low Energy: Diet, exercise, sleep, and stress-reduction advice to boost your vitality. P.S. Remember, while you can’t put a price on good health, this fact-filled, indispensable guide is absolutely FREE. Order your copy now and feel rejuvenated! I really need help my thyroid levels are ok but i have the symtoms !!! I’m registered but ai need to log in in order to download the free copy. I am not getting link in my email to set new pass word. Help! I am having similar problem. I keep getting that I am registered but not logged in. No matter what I do it just doesn’t let me log-in. I have tried on several occasions, can you help me?